You are likely reading this on the brink of our national election. There have been months of bickering, insult slinging, and behavior that would not be tolerated in most of our classrooms. Children truly have wisdom and perspective that adults sometimes forget or lose in the busyness of life. I am sharing three links in this blog that are the voices of younger children and adolescents. What if those running for political office, as well as those who already hold a policymaking position, and the media gave more time and attention to the wisdom they have to offer? The first link is a video made by children at the IPS/Butler Lab School. They offer advice to the next President of the United States, which includes the importance of remembering the Golden Rule and why it is best to choose kindness over meanness. Our children are watching; so how do they reconcile what they are told is appropriate behavior for them and then see adults not modeling it? The third link is one of the most powerful messages I have seen, created by three young adolescents. Their message, cited in unison, provokes deep thinking and questioning about their school experience, their life as a student, and their questions about society and culture. How do we answer the question they raise as to why we ban certain books but we will not ban assault weapons, especially in light of school shootings? While you may not agree with all of their questions and observations, it will definitely provoke thinking about issues and concerns of today’s adolescents. What I found in each of the three messages was the power of a child’s mind and heart and their openness for understanding. I encourage you to find time to listen to children of any age that surround you and be open to learning from their minds and hearts. Dr. Ena Shelley has served as dean of the Butler University College of Education (Gamma Nu Chapter) since 2005, championing the College’s mission “to prepare educators for schools, not as they are, but as they should be for all learners.” She has taught courses on early childhood education and kindergarten instruction since joining the college faculty in 1982. In 2012, she presented at the Indianapolis TEDx conference on “The Solutions Within.” Watch her TEDx Talk by clicking here. You are invited to attend our first kdpedpolicy live Webinar, “A Powerful Voice in Critical Times,” on Monday, March 19 at 8 PM EDT. We’d love to have your voice with us. If you can’t join us Monday, revisit this link after Monday for the recorded Webinar. P.S. 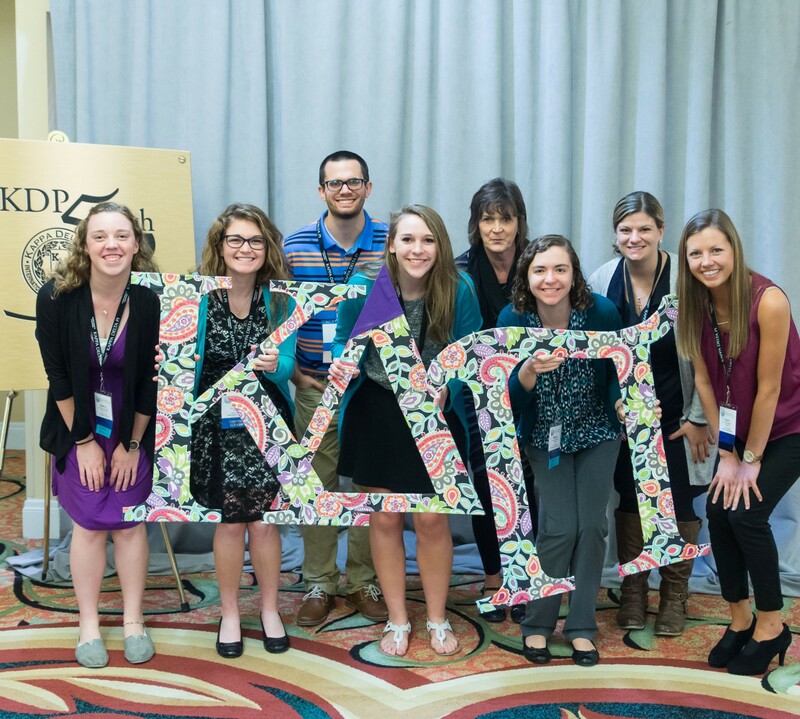 Kappa Delta Pi offers other topical Webinars, known as eChapter Events, on its eChapter Communities site.